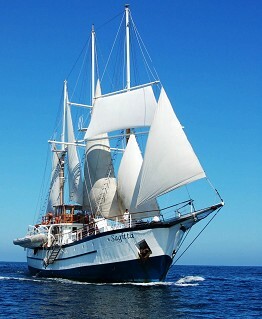 This is a Solo Sojourn voyage. Comfortable in your own skin, you enjoy unencumbered travel, good food, exploring new destinations, learning about different cultures, and meeting like-minded active travelers. No couples, no children, no one to please or keep up with but yourself! 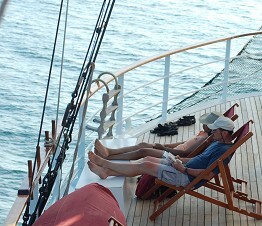 Travelling on your own terms is liberating and fun, especially when sailing with Island Windjammers! Set a course for the Leeward Islands and discover a treasure trove of breathtaking beaches, old forts, and seaside villages waiting to be conquered by adventurers like you. If you’re looking for cultural diversity along with a nice balance of small islands and larger ports with just the right amount of hustle and bustle. Set a course for the Leeward Islands and discover a treasure trove of breathtaking beaches, old forts, and seaside villages waiting to be conquered by adventurers like you. Choose the Leewards for cultural diversity along with a nice balance of small islands and larger ports with just the right amount of hustle and bustle. Unlike other islands where traditional lifestyles have been stamped out by mass tourism, St. Kitts boasts a thriving West Indian culture. Her lush and forested slopes rise gracefully to mist-shrouded peaks. A worthwhile site for history buffs, the imposing 17th century fortress (Brimstone Hill) looms over green fields of sugar cane and banana trees. 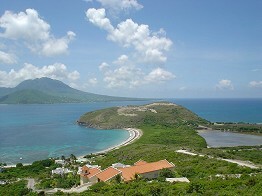 St. Kitts’ was the first successful colony in the British West Indies. Indeed, when viewed from the top of Brimstone Hill, the “Gibraltar of the Caribbean” appears to dominate everything in the Southern Sea. Shop in colorful Basseterre, play golf and tour old plantation houses. For the adventuresome there’s a brisk hike through the rainforest.